Hi! 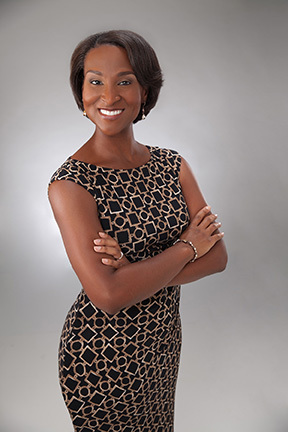 My name is Dr. Umekei Smith and I am excited you are considering our practice for your dental needs! I would love to be your dentist! I am originally from Jackson, MS and am a graduate of Tougaloo College where I earned a Bachelor of Science in Biology. I received my Doctor of Dental Surgery from the University of Tennessee, Memphis College of Dentistry in 2003. I relocated to Houston, TX shortly after where I have been taking care of happy patients ever since! I am a Premier Preferred Invisalign Provider! I am a member of the American Academy of Cosmetic Dentistry and the Academy of General Dentistry. I am also a member of the Greater Houston Dental Society, Texas Dental Association and American Dental Association. During my spare time, I enjoy family activities with my husband, Zurick and two girls, Zoe and Chloe. When you come to our office, I want you to be as comfortable as possible, from the moment you walk in, to the moment you leave. I will listen carefully to your concerns and be certain they are all addressed. I am committed to providing gentle, quality, personalized care! I will spend time to ensure the best outcome for every treatment and you will always have my undivided attention. I am fortunate to have an excellent team by my side who shares my vision of customer service and quality care. We continually strive to make you feel right at home and look forward to a relaxed and pleasant visit with you!